When people think of Tuscany, few think of rugged mountain peaks. However, the Apuan Alps, in easy reach of the gorgeous cities of Pisa and Lucca, rise abruptly from the coastal plain to a height of almost two thousand meters. Much lower than the Alps of northern Italy, but nevertheless a fantastic dramatic upland landscape. The area is best known for its marble production, which is mined high in the mountains and processed in nearby Cararra. Apuan marble has been quarried here since roman times and to this day is exported globally. Many famous landmarks around the world have been sculpted from this pristine white rock, including the ancient Pantheon in Rome, London’s iconic Marble Arch and Sienna’s impressive Duomo. Marble quarries high in the Apuans have left a very visible mark on the landscape – large white scars on the mountainsides gleam in the often unbroken Mediterranean sunshine. On my first visit, I thought these scars were large snow patches clinging on through the heat of summer – as such they manage to fit in well with the mountainous landscape, adding an interesting man-made feature to an otherwise fantastic natural setting. Although famed for their marble, most of the peaks are actually formed from limestone – a softer rock of the same chemical composition. Limestone is easily dissolved in water – it is this geological property which makes the Apuan scenery so strikingly rugged. The range is characterised by lots of steep-sided jagged mountains with sharp, pointy peaks. Deep valleys cut through the highlands and large cave systems (notably Grotta del Vento) eat away at the mountainsides. Valleys are clothed with dense chestnut and oak forest, which form a rich deep green carpet in the summer months and turn vivid shades of orange and yellow in the Autumn. Upper slopes are characterised mostly of bare rock – this makes for very wild, dramatic scenery. 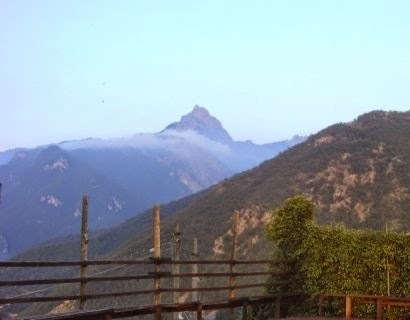 A good driving itinerary showing a trans-section of the mountain range is the road between Castelnuovo di Garfagnana on the eastern side to Massa on the Tyrrhenian coastline. Without stopping, the journey takes around an hour to complete. The road is quite windy-twisty, but is of good quality for its duration and offers some fantastic scenery from start to finish. Castelnuovo is a small, but busy market town which straddles the banks of the Serchio river. It is dominated by an unusual fortified castle, built into the town walls. Ironically, the town’s name can be translated literally as ‘new castle’ – this is rather misleading as it was founded around the 11th century, before being restored in the renaissance period. It is the principal town of the ancient Garfagnana region – a rather remote, heavily forested area bordered by mountains (the Apuans in to the west and the Tuscan-Emilian Appenines to the east. From Castelnuovo, follow the sign for Forte dei Marmi/ Massa, taking the SP-13 road. 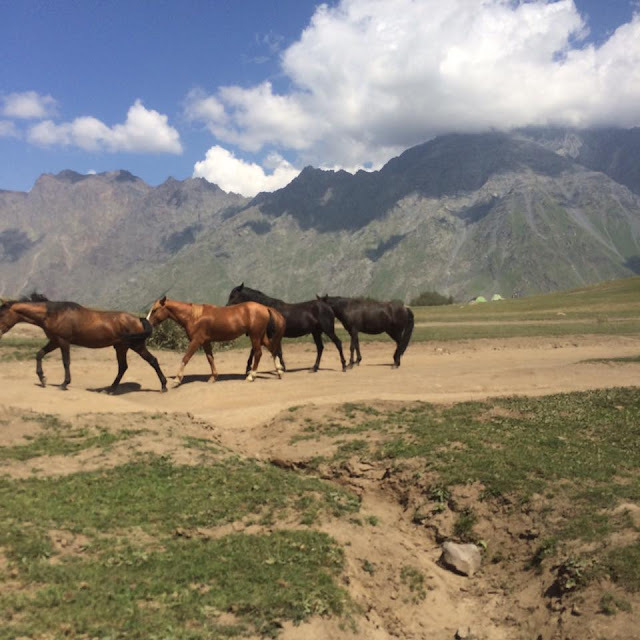 After leaving the town, the surrounding scenery instantly becomes very scenic as you begin to climb gradually into the mountains, following the Turrite Secca river. You will pass through the small village of Isola Santa, which is built above a small turquoise-colour lake (see picture above). There’s a pretty church in the village and it’s a nice place to take some pictures. Upon leaving Isola Santa, the scenery begins to get more dramatic as you climb towards the large bare-rock mountains of the Apuan backbone. After a couple of miles, you’ll come to a fork in the road – we took the right hand fork towards Massa, Arni and the Passo del Vestito (the scenery on this route is more dramatic). The road passes through the small village of Arni before cutting through the mountainside through a series of tunnels. Upon exiting the second tunnel, you will be rewarded with a panoramic view of the rugged mountains and distant coastline. This is the Passo del Vestito, which stands at a respectable 1151 meters above the coastal plains of Versillia. The view here is nothing short of breathtak ing. From here, the road descends via a series of hairpin bends into the small city of Massa. This is marble territory - around here, you will notice the large white scars on the mountainsides. The Versillian coastline gives impressive views of the imposing mountain peaks behind, but the towns and beaches themselves are quite generic and not really worth making a detour for if I’m to be honest. A continuous sandy beach stretches from Viareggio all the way to Marina di Cararra, characterised by row after row of umbrellas and deckchairs which can be rented at a rather uninviting price. For those who wish to visit the coast, I would highly recommend a trip to the region of Liguria just to the north, which is truly beautiful. The Ligurian coastline is rocky and has a lot more character. I’ve written much more about Liguria in a separate post. 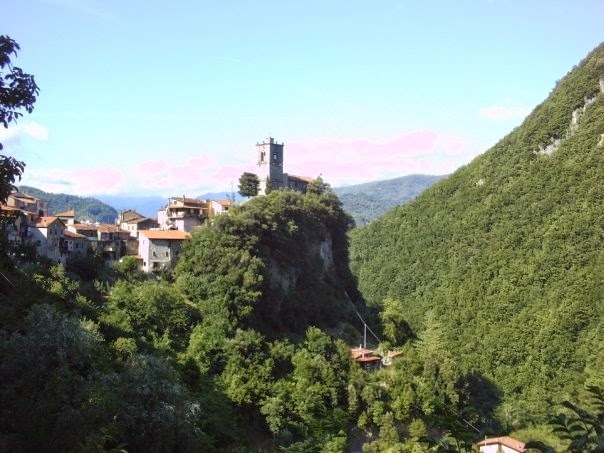 The northern boundary of the chain (known as ‘Lunigiana’ after the ancient kingdom which once occupied the area) is dotted with a collection of small, historic towns and villages. Many of these places appear to be ancient, but are still strong and functioning today. Some particularly attractive villages I visited are Fosdinovo (for its large castle and narrow streets), Equi Terme (for its caves and natural thermal spa), Cásola and Minucciano just to name a few. Amongst the smaller villages, Monzone, Viano and Vinca are all beautiful and incredibly rustic, although I could list loads of others! The tiny fortified village of Viano holds a special place in my heart – I stayed in this charming medieval village on my second visit to the area. It proudly stands high above the Equi Valley and fantastically represents a typical Italian hilltop village. Its location is strategic – this was the best location to protect villagers from invasion in medieval days. The sharp, pointy peak of Pizzo d’Uccello towers majestically over the northern Apuans – commonly referred to as the ‘Tuscan Matterhorn’. The mountain reaches a height of 1781 meters and is quite popular with walkers, although extreme care must be taken as its northern face drops several hundred meters, almost vertically, into the deep valley below. This is not the highest peak in the range (nearby Monte Pisanino rises to 1946 meters), but it is certainly amongst the most dramatic. 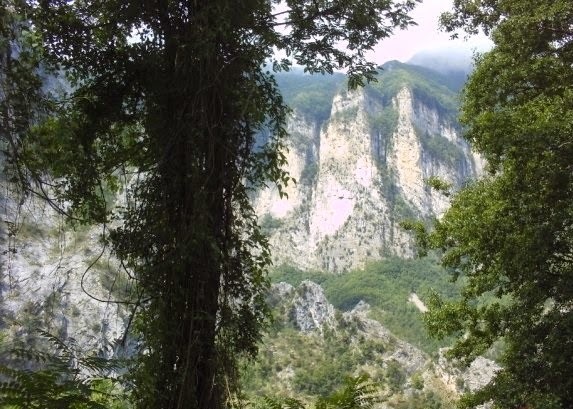 Despite their long history of human activity, the Apuan Alps manage to retain a true wild feel. The area is officially protected as a ‘natural park’, which acts to preserve and protect the plentiful plant and animal life, along with the beautiful landscape itself. The park is teeming with wildlife – deer, wild boar, golden eagles and even a small number of wolves call these mountains home. As you can probably tell, I love this area, along with Italy as a whole. For more of an insight into the wider area, see my other posts on the Ligurian coast and North Tuscany. As always, thank you for reading, and feel free to leave comments below. Happy travels!